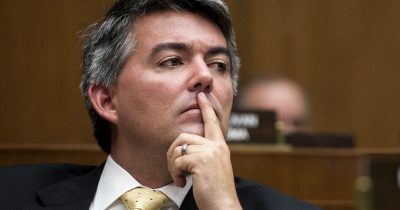 These Coloradans Went to D.C. to Share Stories of Sexual Assault with Gardner. He Apparently Didn’t Listen. Rocktober is here! The Colorado Rockies began their battle with the Milwaukee Brewers last night, having earned themselves a playoff series appearance for the first time since 2009. And thanks to this season’s success occurring in an election year, there are naturally plenty of politicians looking to highlight their support to share in the team’s glory. 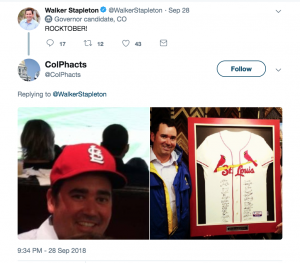 Gubernatorial candidate Walker Stapleton, clearly one of biggest baseball fans among Colorado’s elected officials, is likely both disappointed and relieved that the Rockies are facing off against the Brewers rather than the perennial NL Central powerhouse St. Louis Cardinals. Following the Rocks’ Tuesday night clinching of a playoff spot, Stapleton tweeted simply, “ROCKTOBER!” At the time, the Cardinals were still in contention for a playoff spot. An anonymous Twitter account replied with a pair of photos showing Stapleton wearing a hat and displaying a jersey of the St. Louis Cardinals. The tweet did not mention any explanation for the Treasurer’s apparent love of this National League rival. Stapleton…and his son Walker, now the state treasurer of Colorado, watched the Cardinals clinch the National League pennant over the Brewers Sunday night in a 12-6 slugfest. Father and son celebrated the milestone in the visitor’s clubhouse, soaking up the exuberance of a team that came within a few outs of missing the playoffs altogether. He couldn’t say the same for the champagne. 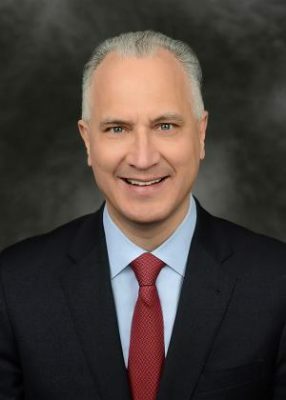 Craig Stapleton’s mention of Texas refers to the Texas Rangers, the team he owned in the 90’s along with former President George W. Bush. “Walker was a bat boy during Ryan’s sixth and penultimate career no-hitter, a 5-0 Texas Rangers victory over the Oakland A’s on June 11, 1990. “Walker beat the outfielders to the mound,” said [Craig] Stapleton… Such are the perks of being an owner of a Major League Baseball franchise, as Stapleton once was with the Rangers. He and George W. Bush, whom Stapleton is related to through marriage, co-owned the Rangers from 1989 to 1998. Just attending a no-hitter is a once-in-a-lifetime, unforgettable experience for any no baseball fan. Being on the field for a no-hitter thrown by one of the greatest pitchers in history, is just incredible. 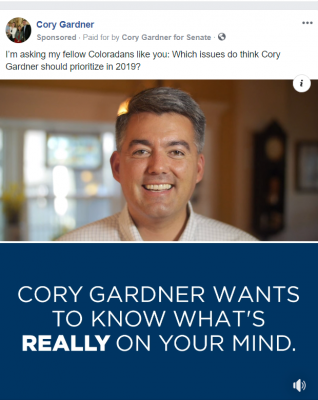 Thankfully for the candidate, none of the Stapleton’s past or current stakes in Major League Baseball team get in the way of this fall’s Rocktober. 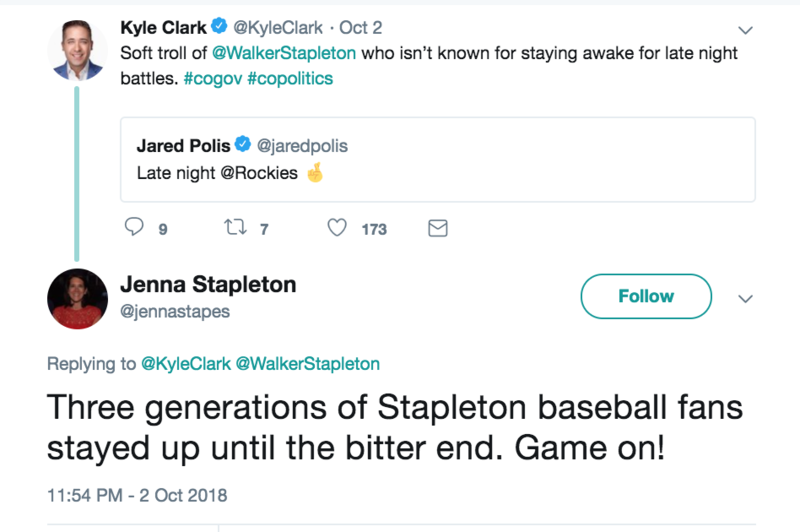 This was made clear by a late-night Twitter exchange between his wife Jenna and 9News’ Kyle Clark, who was playfully reading a little bit of politics into a Jared Polis tweet during the Rockies wild card win on Tuesday night.